Most Commonly Asked 20 People-Soft Interview Questions And Answers. Most Commonly Asked 20 People-Soft Interview Questions And Answers. Latest People-Soft Interview Questions With Answers For Freshers And Experienced. Top 20 People-Soft Interview Questions And Answers. 1) Explain what is People-Soft? People-soft is an organization that provides e-business application software over the internet. It provides software for Human resource management, Supply chain management, CRM or Customer Relationship Management, Enterprise Performance Management and so on. 2) Explain what is Related Content in People-Soft? In People-Soft, related content services are the framework within which administrators can contextually link application pages with collaborative content in any PeopleSoft application. 3) Mention what all things can PeopleSoft billing can do? 4) Explain how the voucher build process flow works in PeopleSoft? 5) In people soft in what many ways you can run an application engine program? 6) Explain how you can export SQL results to Excel using SQLPLUS? 7) Explain what is People Soft integration broker? 8) Mention what are the two important components of People-Soft integration broker? 9) Explain what is the role of PeopleSoft component Interfaces? 10) Explain File Interfaces in PeopleSoft? 11) Explain what does PeopleSoft query is used for? 12) In what all ways you can use PeopleSoft Query? 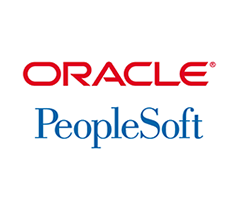 13) Explain what is the use of Publish Utility in PeopleSoft? 14) Mention what is PeopleSoft Multi-Channel framework? 15) Mention what are the different types of service operation does PeopleSoft Integration Broker provides? 16) Mention where you can add a value to the underlying table in PeopleSoft? 17) Mention what are the tools are provided by PeopleSoft for testing your integration development? 18) Mention what is the role of Schema Tester? 19) Mention what does feed publishing framework provides? 20) Explain in what ways you can create exceptions in PeopleSoft? 0 on: "Most Commonly Asked 20 People-Soft Interview Questions And Answers."